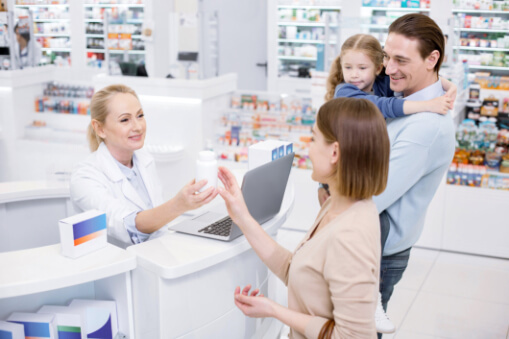 Although there may be many pharmacies that can give you the prescription medication, over-the-counter drugs, and medical supplies you need, not a lot are able to offer you services aimed at giving you the convenience and hassle-free pharmacy experience you deserve. For example, your current pharmacy may be complete in the prescribed medicines you sought for, however, can they change its shape and intake form, or add flavor to it so your little ones are able to take it without hesitation? Fortunately, we can, and we are able to do so with the assurance that you will only receive high-quality medication, and compounding services by qualified and skilled professional pharmacists. Palms Pharmacy is a pharmacy in Lake Worth, West Palm Beach that takes your health and wellness seriously. We offer quality drugs and medical supplies at affordable prices because we believe that exceptional customer care and quality products do not have to be expensive. In addition to that, we also offer various services that are aimed at giving you an easy, hassle-free, and convenient pharmaceutical experience—one that you definitely deserve. At Palms Pharmacy, we aim to be the affordable pharmacy in West Palm Beach you can rely on for your needs. Not only can you find quality products that are thoroughly-checked and properly labeled, but we even go as far as making sure that your needs are met to your own liking, with ease and convenience. Given that premise, we provide compounding services which will enable you to receive your needed and prescribed medicine in the form, shape, and flavor most comfortable for your intake needs. Our quality compounding services include changing the shape and form of your prescribed medication, creating specialized gels or creams specifically for your needs, and even adding flavor to medicines to enable your little ones to take them with ease. Worried about missing out or forgetting to refill your prescribed medicines? With our prescription refill services, that wouldn’t be a problem anymore, as we make sure to help you stay on top of your medication by reminding you when your prescription would have to be refilled. We even have delivery services for if you are not able to visit us to acquire your needed medication and supplies! These are only even just a few of the services we offer, and you can be assured that each is provided with genuine care, and unwavering quality. If you are seeking quality products and exceptional services done by our friendly and knowledgeable pharmacists who serve you with genuine care and a ready smile, then trust us at Palms Pharmacy. We continuously strive to make sure that we meet your needs with the ease and convenience you deserve. So come and visit us today for your pharmaceutical or medical needs, or you may also talk to us at 561-513-9161 to know more about our various services and how we can help you. This entry was posted in Pharmacy and tagged Pharmaceutical Needs, pharmacists, prescription medication. Bookmark the permalink.